The Galiceño is a small, handsome gaited pony from Mexico. It is usually dark colored, sometimes with dun markings, but rarely has white markings. It is thought to descend largely from Spanish ponies such as the Garrano and Sorraia, with a mixture of Andalusian and perhaps other breeds. In the 1950s Galiceños were imported into the US, and a US registry was created. This US breeder has a website with more information and some photos. 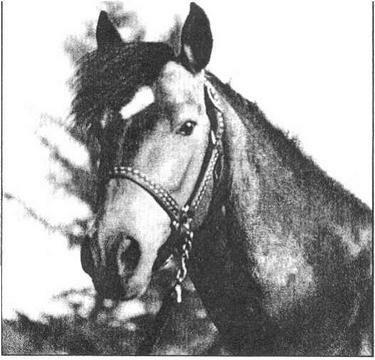 There is a pony called the Galego (Galician) in Spain today, which probably has some distant relation to the Mexican Galiceño, and has some similarity in appearance. This site is in Galician, but has plenty of pictures of the Galego.